Thank you for your support during this difficult time. Please enhance this tribute to Bill by adding your memories and photos. William Lee (Bill) Connellee (94) of Charleston, SC, passed away peacefully September 16, 2018 with his wife and daughter by his side. He was born on 19 August 1924 in Terrytown, NY, to Alfred Chamberlain Connellee and Helen Howe Connellee. Bill grew up in New Jersey and attended Westfield High School and University of Rochester (U of R) graduating with a mechanical engineering degree in. He joined the Navy and received commission as Ensign. Bill married Ann Barnum Connellee of Rochester, NY after her graduation from Hood College in Frederick Maryland. On July 3, 2018 they celebrated their 70th wedding anniversary. Bill's naval assignments took them to Newport, Rhode Island; Pensacola, Florida; and San Diego, California. 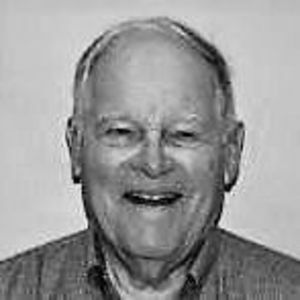 They settled in Rochester, NY where Bill taught Naval Science at U of R. After retiring from the Navy, they moved to Geneseo, NY where Bill worked as a plant engineer for Pennwalt Corporation. Fourteen years later they were transferred to Houston, Texas where Bill became Plant Manager. Later, they built a home on Kiawah Island, South Carolina, retired, and remained there until moving to Bishop Gadsden Retirement Community in Charleston. Bill was an active volunteer all his life. In Houston he volunteered with the Houston Zoo and the Red Cross. During his retirement years he served as a board member of Habitat for Humanity on Johns Island and on the Kiawah Town Council. He loved nature and worked at Charles Towne Landing, and was a founding member of the Kiawah Island Turtle Patrol, where he helped developed educational programs giving the Turtle Talks for the Kiawah Island Nature Center. For 15 years Bill volunteered at the Charleston Aquarium, beginning service as the aquarium was being built. Over the years he served on church vestries and on various committees at Bishop Gadsden. His sister, Barbara Connellee Evans, brother Alfred Connellee, and daughter Lynne Clune Connellee predeceased Bill. He is survived by his wife; Ann of Charleston, SC, a daughter; Gail Ann Connellee of Iowa, a son; William Lee Connellee, Jr and his wife Melanie Allen Connellee of Charlotte, NC, son-in-law; Ralph Noel Rodriguez of Austin, TX and grandchildren; Mackenzie Allen Kozak and husband Thomas Kozak of Candler, NC; Morgan Connellee of NYC, Hans Christopher Gotun of NYC, and Anne Gretha Gotun of Austin TX. A memorial service will be held at 2 PM on Saturday, September 29 at Grace Church Cathedral, 98 Wentworth Street, Charleston, South Carolina. A reception will follow the service. In lieu of flowers, gifts may be made to Bishop Gadsden Resident Assistance Fund, 1 Bishop Gadsden Way, Charleston, SC 29412 or to the charity of your choice. Life Stories provides friends and families a forum to post their favorite stories and memories of William "Bill" Lee Connellee ensuring the precious experiences are never forgotten. Share joyful times, post a photo that captures the moments you cherish, and allow others to reply, relive and remember.